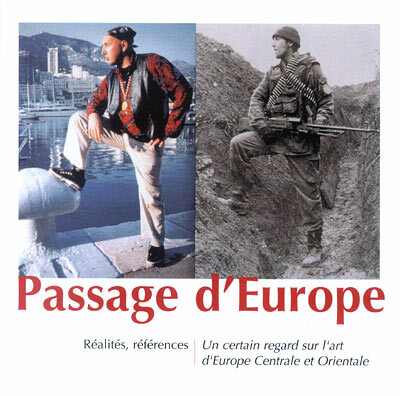 Passage d´Europe is one of the exhibitions by which European institutions react to current political changes connected with the expansion of the European Union towards the East. It is curated by Lóránd Hegyi, the Director of the Museum of Modern Art, Saint-Étienne, assisted by eight co-curators from different countries (Dunja Blažević from BiH). 65 artists participated at the exhibition; from BiH: Braco Dimitrijević, Danica Dakić, Nebojša Šerić-Šoba, Šejla Kamerić, Alma Suljević, and Gordana Anđelić-Galić.